Got a leak? Washing machine broke at the worst possible time? No need to worry, call LPC and we can have a plumber out to you in no time. At LPC we employ a team of highly skilled service engineers, fully experienced and with the appropriate industry qualifications, all boiler and gas installations are carried out by genuine Gas Safe (previously CORGI) plumbers. We can help with shower repairs, sink & toilet blockages, boiler installs, kitchen reifts, gas certifications & inspections and more. Our Gas Safe Registered Plumbers are experienced professionals with the knowledge and expertise to solve your issue quickly and efficiently. Contact us for any issue, our plumber can handle any job no matter how large or how small. Find out what our plumber can do for you today! Our heating and plumbing service takes care of everything from start to finish, by discussing your ideas in the comfort of your home, we design your bathroom, source the products you require, complete the installation to an extremely high standard and fully guarantee the workmanship. Here at LPC Maintenance, we can do just that! All of our plumbers and heating engineers aim to resolve your issue as quickly as possible. We will aim to get the problem sorted for you as quickly as possible so that you can have peace of mind knowing your plumbing is working correctly. All of our engineers are Gas Safe Registered and have the knowledge and technical skills to complete a range of commercial as well as domestic plumbing and heating services on a variety of products. 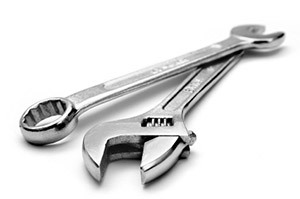 LPC Maintenance is based in North West London and cover West London, NW2 and Hampstead. If you aren’t sure whether your area is covered by us then give us a call on 0208 452 7397 today! A member of the team will be happy to help. We offer a complete range of central heating and gas services for every type of domestic and commercial gas appliance. If you need a full list of the products we provide or you have a question about our plumbing services or any other service we provide, then you can contact us via our contact form or by calling us directly today!